Derbyshire DA is going to set up a mailing list for members to subscribe to. We’ll be sending out newsletters, information about up and coming meets, stewards opening times etc. Jane Sisson has kindly volunteered to send out the emails and will be our Public Relations Officer. Jane can be contacted by emailing pro@derbyshireda.com. 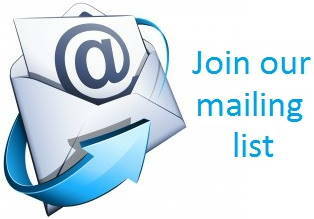 If you’d like to join our mailing list, enter your email below, click subscribe and then the Do it Now button.